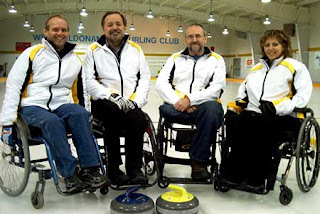 Team Canada 2009 member Chris Sobkowicz successfully defended his Manitoba title winning the opening two games of the best of three playdown against Team Horning. Chris will take teammates Arlene Ursel, Michael Alberg, Dennis Thiessen and alternate Terry Lindell to Nova Scotia in March where he is sure to face at least one other Team Canada member from BC. WAY TO GO GUYS! CONGRADULATIONS!